The Group Real Estate, a small real estate brokerage doing big things in Idaho Falls, runs on the principles of a lot of different ideas and notions. None speak more volume that those that are taught to us in The Go Giver. The story is that of an ambitious young man named Joe who yearns, wholeheartedly, for success. He believes he is a very passionate “go-getter” though he feels the harder and faster that he works, the further he seems to be getting away from his ultimate goal of finding success. He finds out about a legendary consultant, named Pindar, who was referred to him by one of his consultants. As he is trying to land a key sale before the end of the quarter, he opts to go seek out Pindar. Over the course of a week, with Pindar, Joe is introduced to a series of “go givers” in a restaurant owner, a CEO, a financial adviser, a real estate broker, and the “Connector”, who brought them all together. 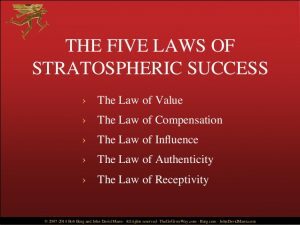 Pindar’s friends shares with Joe the Five Laws of Stratospheric Success and teach him how to open himself to what makes them truly successful: giving. The teaches the idea of putting others’ needs and interests first and continually adding value to their lives – ultimately leading to unexpected type returns. As we go along the journey with Joe, we are able to learn about each of these Laws as we meet the many different people that Joe meets through Pindar. The reason that these are so successful and the people in the book follow suit, are due to the giving attitude that these all place forth. When we act in a way that is giving and putting others’ needs and interest before our own, we are able to garner success on a very different level than the common go-getter. So many people deem success as a way of going all in and going for it. While these are important, the parts that are truly lost are the ideas taught within giving and why a giving attitude is so important. Within the Law of Value, we are taught through the story, that you are truly worthy in the idea of how much you give in value than you take in payment. If you can provide value and you understand the value that you can give, there will be a much better reward to come, whether is be soon, or late. But as we focus on the value that we can provide over the payment we want to receive, this is the first step. Within the Law of Compensation, we are taught in the story, the your income is determined by how many people you serve and how well you serve them. The reason for this, is instead of just being a pawn for hourly work, as you serve people and use the value you have shown, this is where your income will eventually come from. Within the Law of Influence, we are taught in the story, that your influence is determined by how abundantly you place others’ interests first. This is one of the main laws of life we live. If we are concerned about the needs of others above our owns, we will always succeed in this life. There is true importance and merit in the idea of making sure that we put the needs of others first in the business world, to which this especially holds true in the real estate world. Within the Law of Authenticity, we are taught in the story, the most valuable gift that you have to offer is, just that: you. When we try to be other people, or something that we are not, we will inevitable lose our way. Every time. And due to that, we will become more selfish and only worry about the fake person we have become. The best part of having authenticity in life, is that you will be able to add value in the best way possible. From you. And when others notice you being you, they will be attracted to you and your ways of doing business above anything else, especially if you are trying to be something, or someone, that you are not. Within the Law of Receptivity, we are told through the story, the the key to effective giving is to stay open to receiving. This is one of the most difficulty Laws for most people to follow or even be a part of. Most of us have a hard time receiving anything, whether it be gifts or compliments. As we go through life, we often times hear compliments to which we should simply just say “thank you” and be receptive of the compliment. As we receive gifts, we need to be mindful of receiving them, know that they were gifts, accept them with thanks, and use that in life as we go on giving. To be a great realtor, these are very specific Laws that should be followed. And as you look at these laws, all of them are truly what you need to be utilizing in your daily life already, not just your real estate business. As you start to perfect these Laws in your day to day, you will be able to translate them to your business, as this will help you become a more successful realtor. 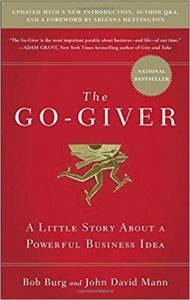 Do yourself a favor and pick up a copy of the Go-Giver. You will not be disappointed, as it will do nothing but bring your business up, as long as you do all you can to follow the laws, make them a way of life, and transfer that to your real estate business.